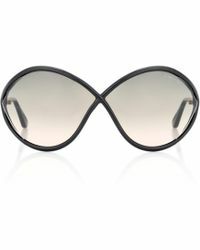 One of Tom Ford's most popular sunglasses styles, the Whitney is constructed with an oversized soft round frame that suits every face shape from heart to oval and square. 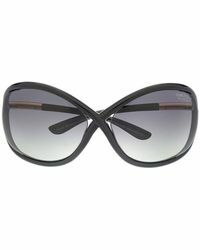 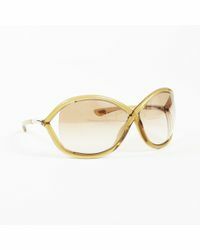 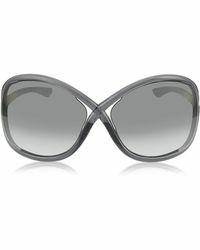 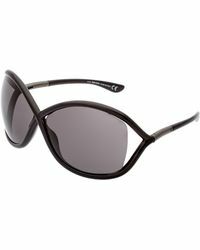 The butterfly wrap style features a secure and extended fit with plastic gradient lenses and a high-shine acetate frame. 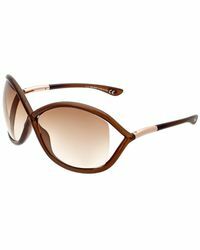 Iconic crossover details take center stage, while signature metal T inserts appear between the tubular temples and cutaway lenses. 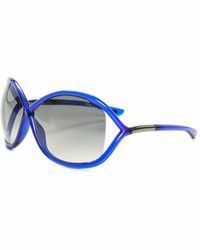 Offering 100 percent UVA and UVB protection, these Italian-made sunglasses boast an impressive celebrity following including Charlize Theron, Keira Knightley and Angelina Jolie.